Saul Rubinek is a Canadian actor, director, producer and playwright, known for his work in TV, film and the stage. Rubinek is best known to sci fi audiences for his roles in Tony Scott’s True Romance (1993) as a pompous, cocaine-addicted film producer. Rubinek played the character Kivas Fajo in the Star Trek: The Next Generation episode “The Most Toys” and the television series Stargate SG-1, in a two-part episode called “Heroes, Parts 1 & 2”. 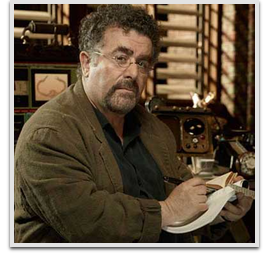 Most recently, Rubinek starred in the Syfy series Warehouse 13 as Artie Nielsen, a covert agent employed by a secretive council to recover mystical artifacts with his team.